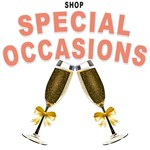 Shop Lesruba Designs for holiday t-shirts and special occasion gifts like Mother's Day presents, Father's Day gifts, Independence Day t-shirts, cool home decor, Earth Day bags, Holiday jewelry, Graduation gifts, baby clothes and 4th of July shirts. We have cool holiday gift ideas and home accents. Choose from happy and cute holiday decor like pillows, clocks and posters or shop for fun special occasion home goods like cups, mugs, water bottles, tote bags and breakfast trays. 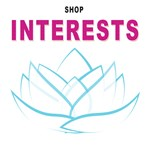 Kids t-shirts, holiday clothes, cute baby onesies and organic apparel for all ages. 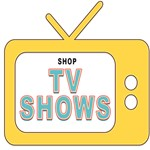 We also have a fun selection of favorite TV Show t-shirts and fan gear including DWTS T-shirts, The Big Bang Theory T-shirts and Castle t-shirts. Shop Valentine's Day gifts, Summer t-shirts and gifts for kids. Wear your cause or favorite things on your sleeve with our earth day shirts, wine t-shirts. Shop greeting cards, buttons and magnets. Unique occasion and holiday presents for newborns, kids and adults! Get ready for summer with our fun Flip Flop Sandals. Give your home a fresh splash of color with our decorative home accent pillows. Show Penny, Raj, Sheldon, Howard and Leonard some love with our Big Bang Theory Merchandise. Support your favorite dance couple with our Dancing with the Stars T-shirts. Learn fun facts about Earth Day, celebrated on April 22nd of each year. How Much Do You Know About Dogs?